The KOMPSat-5 spacecraft, also known as Arirang-5, is part of the Korean National Development Plan of the Ministry of Education, Science and Technology, managed by the Korea Aerospace Research Institute that also built the KOMPSat-5 satellite. The major objective of the project is the development of a satellite payload carrying a Synthetic Aperture Radar payload. KOMPSat-5 was designed by the Korea Aerospace Research Institute and components were provided by a number of Korean contractors that have already participated in previous space projects. 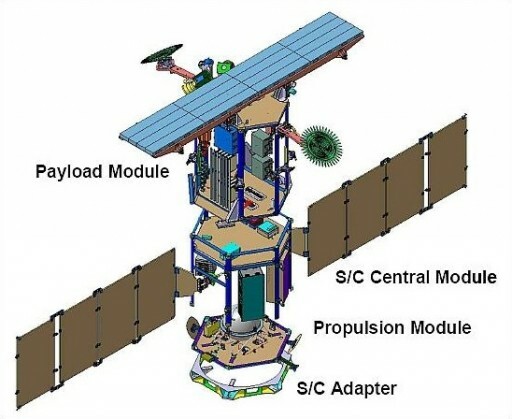 The spacecraft bus itself is based on the KOMPSat-2 mission featuring a modular design that allows re-use for a variety of different missions and payloads. Overall, KOMPSat-5 has a launch mass of 1,410 Kilograms consisting of a Propulsion Module, a Central Bus Module and the Payload Module. The Central Bus Module facilitates all the core spacecraft system such as the Electrical Power System. Two deployable solar arrays – each with four panels – are mounted on booms that connect to the Solar Array Drive Assembly that rotates the arrays to optimize sun exposure. The two Solar Array Drive Assemblies are controlled by electronics that process sun tracker data and rotate the arrays. The spacecraft generates a total end-of-life power of 1,400 Watts. Power is stored in a single 97-Amp-hour Li-Ion battery. Onboard power is managed by the Power Control and Distribution Unit that controls that battery state of charge with over-charging protection and it distributes power to the spacecraft systems. KOMPSat-5 uses two power buses – an unregulated 50-Volt bus and a regulated 28-Volt bus used for spacecraft and payload systems. Low Voltage Secondary Power is provided to the Torque Drive Electronics and the Three Axis Magnetometer. The Central Bus Module also houses the communications equipment that is only used for Spacecraft Housekeeping purposes while payload data is being handled by the payload’s dedicated communications unit. 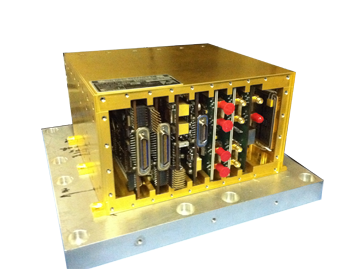 The 4 Kbit/s S-Band link is used to downlink telemetry data and uplink spacecraft commands. The Spacecraft Propulsion Unit houses the propulsion system of the satellite that is used for orbit corrections and maintenance. The spacecraft is a three-axis stabilized. The X-Band Synthetic Aperture Radar payload was provided by Thales Alenia Space, Italy. The SAR payload will be operated in different modes to satisfy the mission objectives of the KOMPSat-5 project. The Payload consists of the SAR Senor Subsystem and a Data Handling Subsystem. The Sensor Subsystem is built around an active phased array antenna with electronic scanning capabilities in the azimuth and elevation planes. Payload mass is 520 Kilograms and average power consumption is 600 Watts with peaks at 1,700 Watts. The radar operates at a frequency of 9.66 GHz and can be switched between standard mode, high resolution mode and wide swath mode to achieve images with different qualities. In standard mode, the SAR payload acquires images with a resolution of 3 meters and a 30-Kilometer swath width. In high-resolution mode, the ground resolution is improved to 1 meter while the swath is reduced to 5 Kilometers. 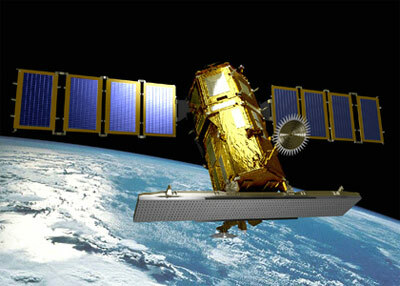 In wide swath mode, the satellite covers a 100-Kilometer swath with a ground resolution of 20 meters. Payload Data is downlinked to ground stations via a high-speed X-Band data link of 310 Mbit/s- The satellite has an onboard memory of 256 Gbit. KOMPSat-5 carries a secondary payload called AOPOD (Atmosphere Occultation and Precision Orbit Determination). 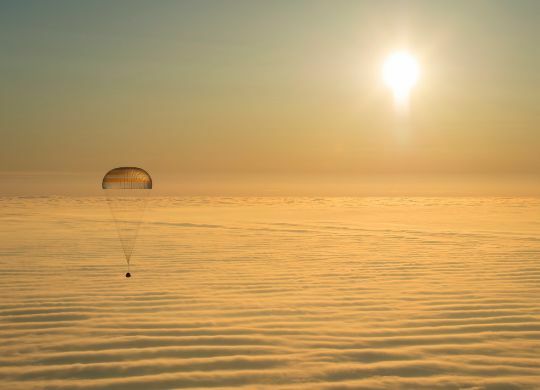 The secondary payload consists of the IGOR unit (Integrated GPS Occultation Receiver), and the Laser Retro Reflector Array to provide precise orbit determination capabilities ad GPS radio occultation measurements. IGOR was built by Broad Reach Engineering, Tempe. The unit is 22 by 24 by 14 centimeters in size and weighs 4.2 Kilograms with a power consumption of about 25 Watts. It consists of two radio occultation antennas and two Precise Orbit Determination Antennas. 48 tracking channels are used to facilitate the four antenna inputs at a sampling rate of 0.1 Hz for Precise Orbital Determination and 50 Hz for occultation measurements. The signals received by the GPS antennas are digitized and stored in two Solid State Recorders (2 x 128MB). Afterwards, raw GPS data is transferred to the mass memory of KOMPSat-5 to prepare it for downlink. A conventional 1553 data link is used to transfer data from IGOR to the S/C. IGOR features a duplexed infrastructure with 4 filter/preamplifier assemblies to reduce signal interference caused by the SAR payload. IGOR GPS data and occultation data can be used for a variety of scientific purposes including orbit determination and atmospheric science (temperature, pressure, water distribution, electron density measurements). The passive Laser Retro Reflector Array was manufactured in Germany and consists of four corner cube prisms that are used for standard laser ranging – using ground stations to bounce laser beams off the reflector to determine the precise orbit to validate GPS measurements. KOMPSat-5 will operate for at least five years from a 550 by 550-Kilometers, 97.6-degree dawn-dusk orbit. The satellite will conduct observations of the Korean peninsula for ocean and land management, to contribute to surveys of natural resources and disaster and environmental monitoring. KOMPSat-5 data can also be acquired for other parts of the world and data will be available to customers. KOMPSat-5’s laser reflector will be used by the International Laser Ranging Service.